Cypress trees grow in abundance across the Southwestern United States. The National Park Service states that cypress trees are deciduous conifers and can also be found in the Everglades in Florida. According to Las Pilitas Nursery, the cypress has a very pungent odor "that people seem to love or hate." In the essential oils movement, cypress oil is one of the important oils. Dr. Axe states that the oil is made by steam-distilling young twigs, stems and needles from the cypress tree. The oil is valued for its medicinal properties. Below are nine benefits that can be gained from the use of this potent oil. Although cypress is rather pungent, Organic Facts states that the oil is good for opening up airways. The oil is an anti-spasmodic and is supposed to help with asthma and congestion in the lungs. Adding a few drops to a pan of boiling water and then breathing it in may help break up any congestion and phlegm and open the airways. According to Organic Facts, cypress has "hemostatic and styptic properties." 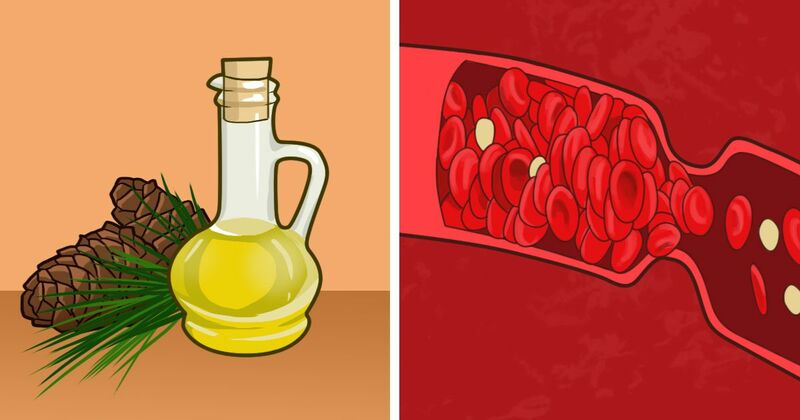 Simply put, the oil appears to constrict blood vessels and slow the flow of blood to an open wound. Dr. Axe shares that cypress oil seems to have antimicrobial properties that kill bacteria on the skin. This means that it should aid in healing wounds and even acne. Organic Facts states that the oil simply allows the skin and muscle to contract. This may keep hair and teeth from falling out as you age. Applying the oil topically where varicose veins appear is supposed to increase the blood flow in that area and help the damaged veins to heal. Dr. Axe states that the "appearance of cellulite" is probably caused by fluid retention or poor circulation. To get rid of excess water, apply the oil to the affected area. The oil is also supposed to increase circulation, so topical application should help reduce the appearance of the cellulite. As a diruetic, Mercola.com states that the oil can help with digestion and cut down on the amount of gas formed. Getting rid of the excess fluid may help eliminate toxins from your body as well. According to Mercola, cypress may have a calming, soothing effect on people. Since cypress has such a pungent, woodsy scent, adding a few drops to your laundry detergent creates a natural deodorant for your clothes. Dr. Axe recommends placing a few drops of oil in your shoes or hats to make them smell fresh and to kill any bacteria that may grow. Organic Facts recommends that pregnant women avoid using cypress oil. For those who have allergies, testing the oil on a patch of skin is recommended before deciding to use the oil regularly. If you have a sensitivity to the oil, Sustainable Baby Steps recommends diluting the oil with a carrier oil such as jojoba oil or olive oil. With a little bit of cypress in the house, you may be able to help your asthma and have the smell of Christmas all year long.